Posted on November 26, 2018 by Ching under Events, Zumba. We had a blast celebrating Andrea’s 32nd birthday on Friday night. 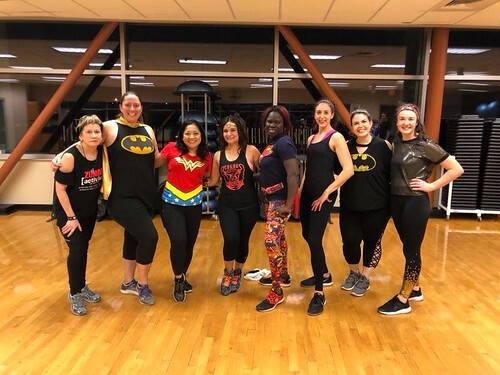 Charis turned her normal Friday night class into a 90-minute Zumba party in honor of Andrea’s special day. 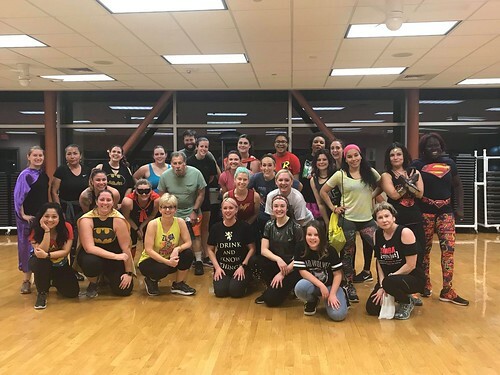 We invited several instructors to teach and it turned it in full-fledged Zumbathon for the ages! Here’s the official instructor line up (from left): Johnna, Andrea (the birthday celebrant herself), me, Jessie, Rose, Francie, Charis, and Amanda. I wasn’t the only Wonder Woman. 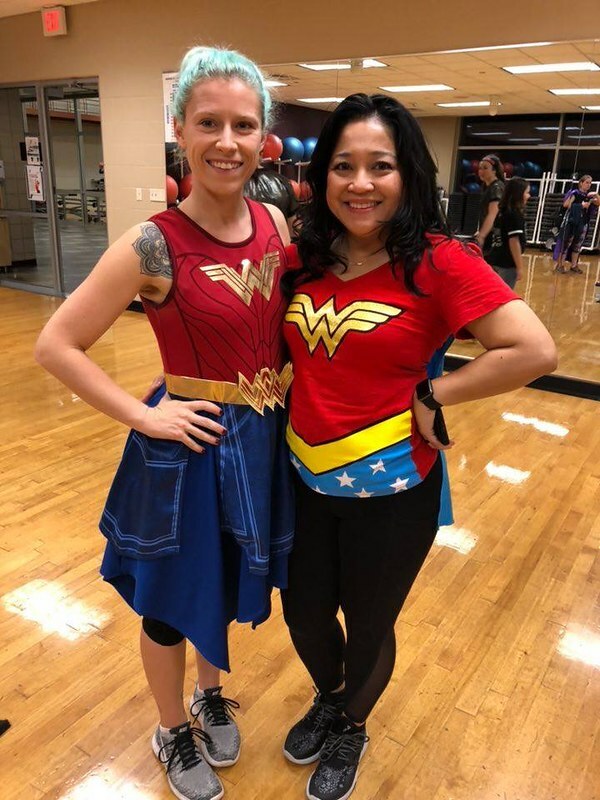 We had a few people dressed as Wonder Woman that night, including Danielle above. Jessie also wore her Wonder Woman head and arm bands. I love it when we have theme parties. 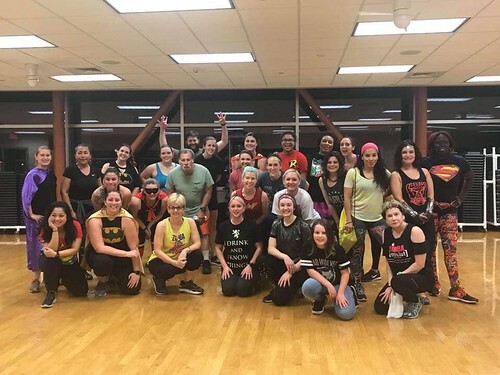 We had a wonderful turnout and a few even stayed for the group photo after class. This one of me and Charis is one of my faves. She’s an excellent selfie-taker. 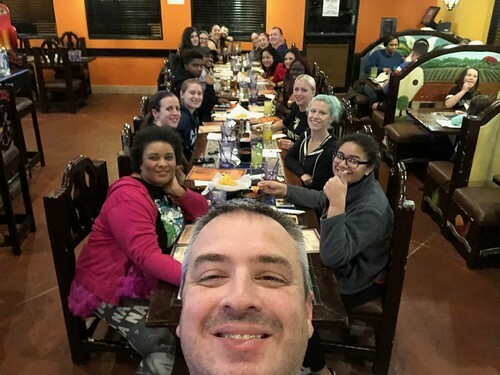 After Zumba we kept the party going at Los Cocos. Here’s a video from dinner. It was such a fun night. 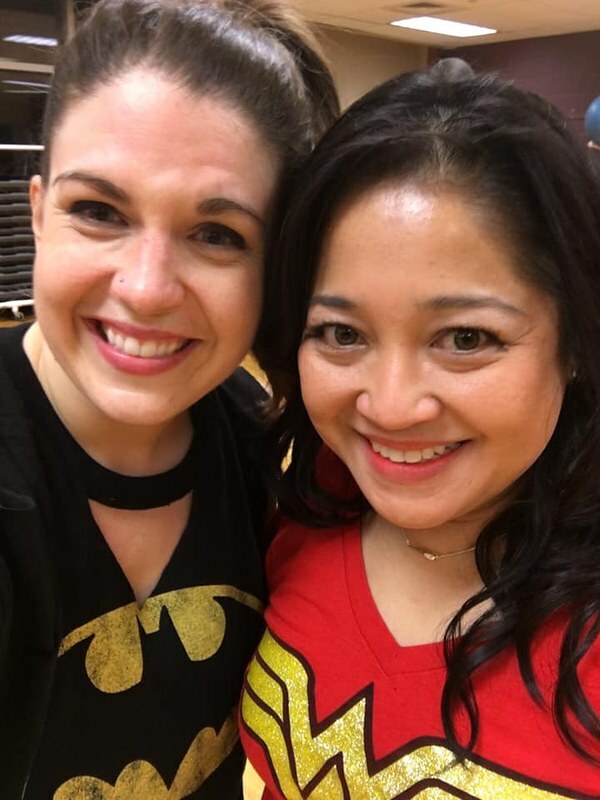 I just love Zumba birthday parties and can’t wait until the next one!